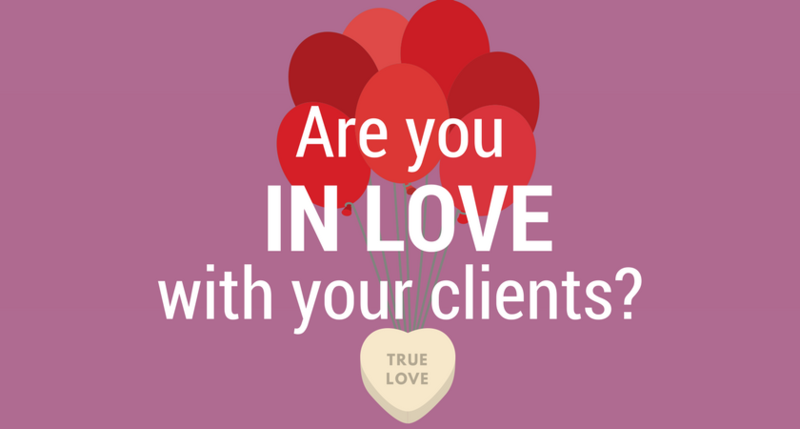 Are you in love with your clients? You should be. Love is a choice. Google this phrase, and you will discover endless pages of expert articles and blog posts by relationship experts who claim that love is more than a feeling; it’s a choice. And, they aren’t talking about that initial falling-in-love phase – that’s all about the feelings. As relationships progress, real love must be cemented. And that love involves choosing to remain by your partner’s side for the long run. In client relationships, it’s easy to experience the emotions of “falling in love” in the beginning of an engagement. It’s all new, all exciting, and there’s so much to learn, so many ideas flowing and a horizon of opportunity lies before you. The challenge comes years into a relationship, when the timelines have been executed and ideas have run dry. Just like a long-term romantic relationship, you have to make a choice to spice it back up. Love, of course, involves an intimate knowledge and understanding of another person. You can’t love someone you don’t know. To initiate client love, it’s important that teams dig deep on client accounts – whether it’s a 10-hour retainer or 50-hour project. They should ask the right questions, research the client’s industry and really get to know client contacts to cultivate an intimate knowledge on their accounts. It’s imperative to know the history and current health of the business, as well as the state of the industry and competition. Sometimes, this type of interrogation can intimidate new clients, but for a PR professional, it’s how we will best be able to do our job. Sometimes, falling in love with a client doesn’t happen easily. Like romantic relationships, chemistry is important. In fact, it’s often chemistry that makes or breaks romantic relationships. And since chemistry is all about the elements, it could be said that the oodles of dating apps out there have the purpose of carefully matching the “elements” of love-seekers (personality traits, likes, dislikes, etc.) to create the right kind of chemistry to ignite romantic relationships. You can do the same thing with client relationships. By carefully selecting which teams will be matched with which accounts (not just who’s next in line), you can ensure a good match – the right chemistry – so your clients fall in love with their teams and vice versa. Remember, too, that true love takes time to develop. 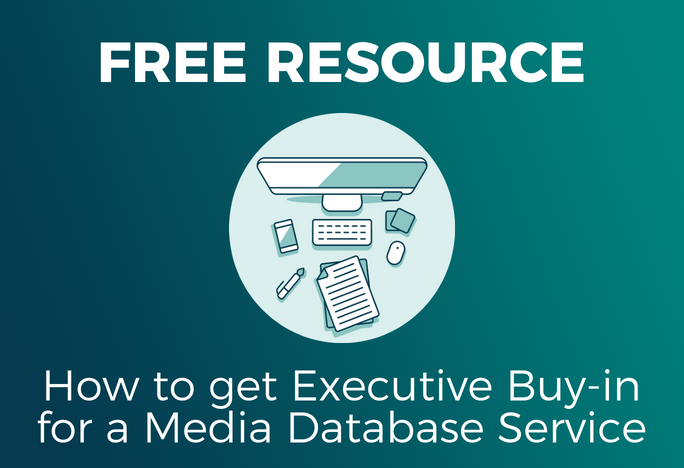 Many PR firms can attest to this with their long-tenured clients. 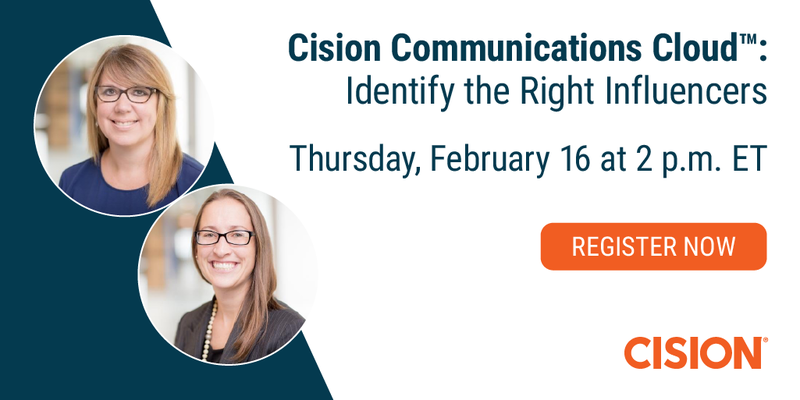 While any PR professional should be eager to take on various projects, fall in love and champion efforts during a specific period of time, they would likely admit that their best work is with clients to whom they can commit ongoing love and attention. When your long-tenured clients say they “can’t imagine life without you” – now that’s a love affair! Successful PR professionals get there with clients by being by their side through good times and bad (from successful expansions to crisis situations); by knowing the ins and outs of their business; and by providing trusted, strategic counsel along the way. The best thing about being in love with clients is that when you are in love, you want to tell the world about it. You document your relationship on social media, share stories of your adventures with all your friends and brag on your new love at every opportunity. Well, that’s what we do as PR professionals. And when you love your clients, this comes naturally. Kerri Guyton is the director of brand content at Obsidian Public Relations in Memphis, Tennessee.